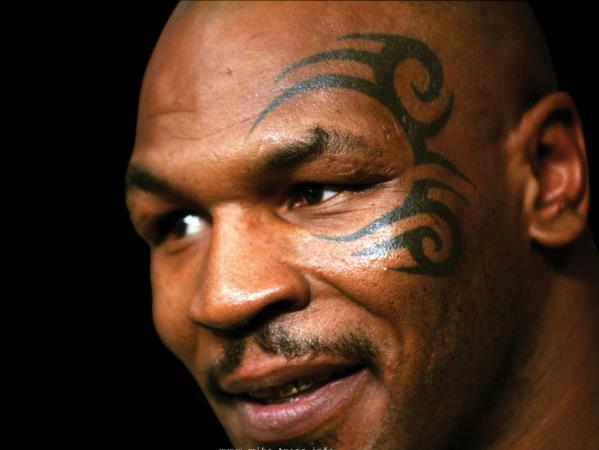 Boxing great Mike Tyson is coming to the defense of Toronto's scandal-plagued Mayor Rob Ford, saying "we all make mistakes." In a rambling exchange with reporters after meeting Ford, the former world heavyweight champion said Tuesday Ford "has a troubled past because he has 24-hour surveillance of the press." Ford returned to work in June after a rehab stint for drug and alcohol abuse. The mayor became an international celebrity last year after he acknowledged using crack in a "drunken stupor" following months of denials. "It's not his fault, it's just that he is living his life and we are human beings - we have no idea what you do behind closed doors," Tyson said. Tyson is in Toronto for his one-man show "Mike Tyson: Undisputed Truth."